This image is continuing my “Space” project. There is a certain amount of 3D visual effect using anaglyph red/cyan glasses, however this is completely optional! I decided to give this image an additional color shift and was more interested in making the insect somewhat ghostly. The original photograph of this Praying Mantis is also quite extraordinary. 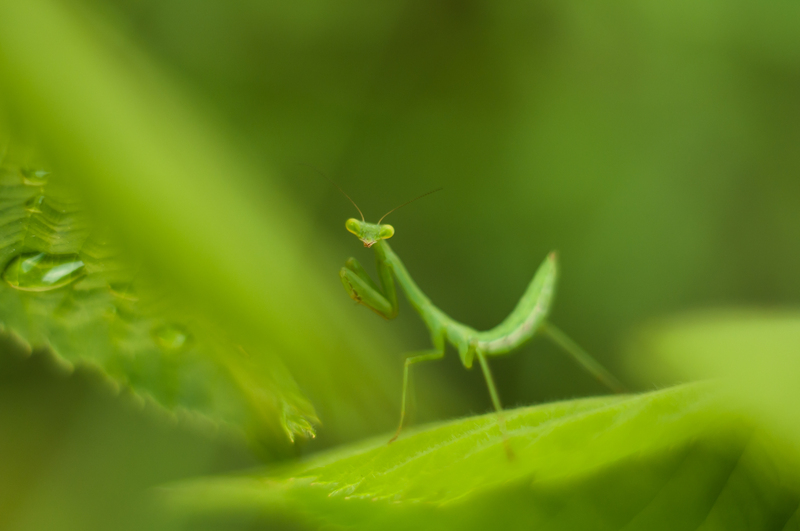 Although actually this is rotated 90 degrees because I was holding the branch of the blackberry plant the Mantis was hanging on because he/she was on the underside of the leaf. So the leaf was standing vertically which brought it close to another leaf with a water droplet in the focal plane.